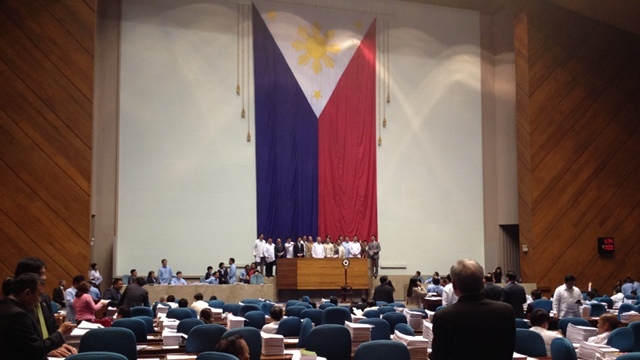 MANILA, Philippines - A few hours after lawmakers met with President Benigno Aquino III in Malacañang on Monday, December 3, the House of Representatives managed to muster a quorum and proceed with the period of amendments for the Reproductive Health bill. MANILA, Philippines – The Commission on Elections (Comelec) will accredit the National Citizens' Movement for Free Elections (Namfrel) as one of its citizens' arms for the 2013 elections, Comelec Chair Sixto Brillantes Jr said Monday, November 26. MANILA, Philippines – The Commission on Elections (Comelec) is bent on reaccrediting the party-list group of Supreme Court Associate Justice Presbitero Velasco Jr's family, Comelec Chair Sixto Brillantes Jr said Wednesday, November 28. MANILA, Philippines – Thirteen organizations whose nominees come from the same families have been accredited for next year’s party-list polls, according to the complete list released by the Commission on Elections (Comelec) on Thursday, November 29. 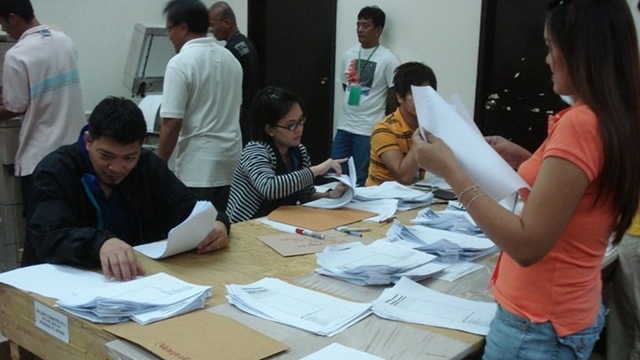 MANILA, Philippines (4th UPDATE) – The Commission on Elections (Comelec) will allow 79 groups to run in the 2013 party-list race, Comelec Chair Sixto Brillantes Jr said Thursday, November 29. 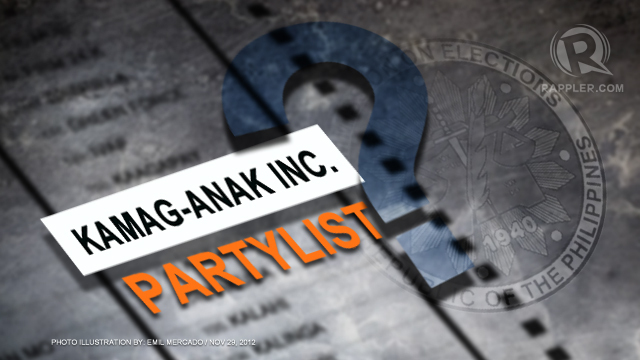 Those allowed by the Comelec to run include the following controversial groups: Gabriela, Anakpawis, Buhay, and An Waray. 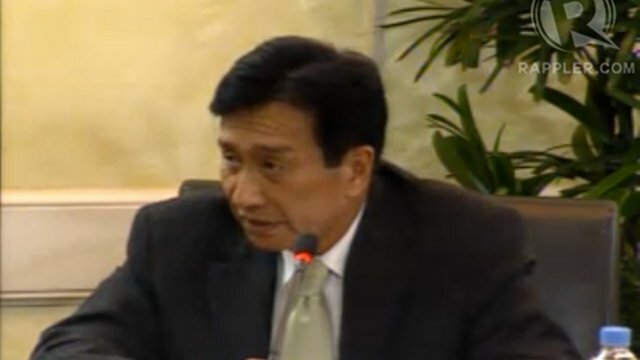 The poll body also allowed the gay rights group Ang Ladlad to run in 2013.